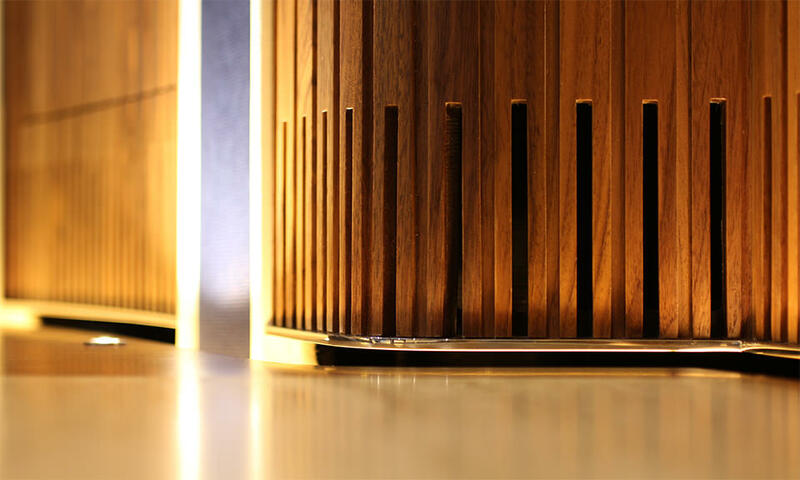 As part of a pair for an Australian client. 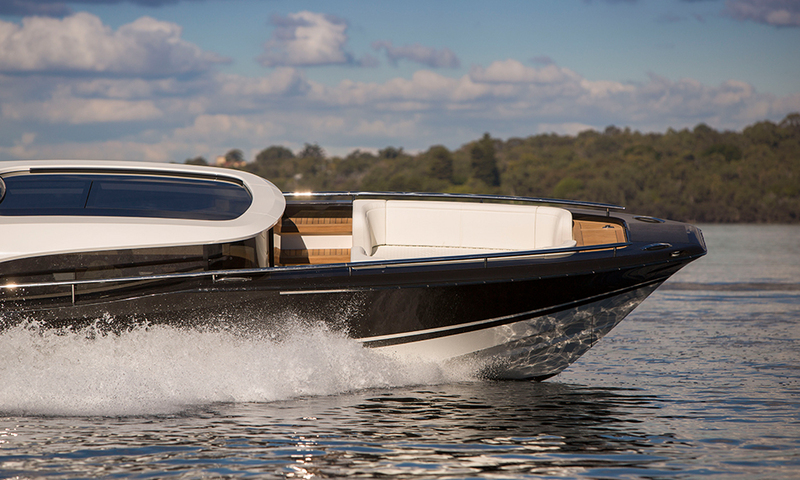 This 9m Limousine is one of the most technically and aesthetically advanced Limousine Tenders on the market. 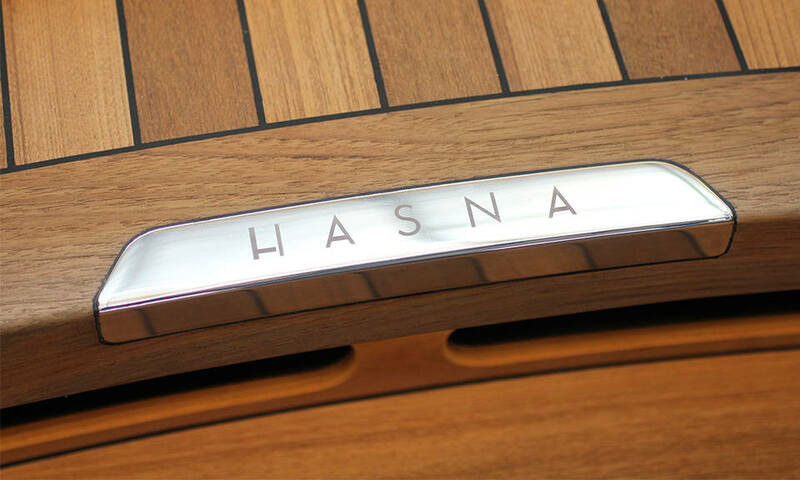 Designed by RWD the Hasna vessels are two very unique, no expense spared Tenders to the 73 meter M/Y built by Feadship. 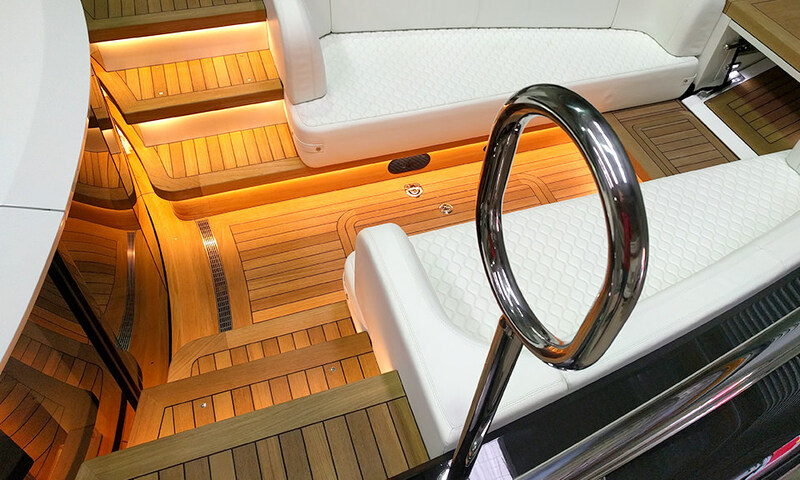 Fwd seating and boarding gives guests plenty of room, whilst also providing a great line of sight for the crew at the helm. 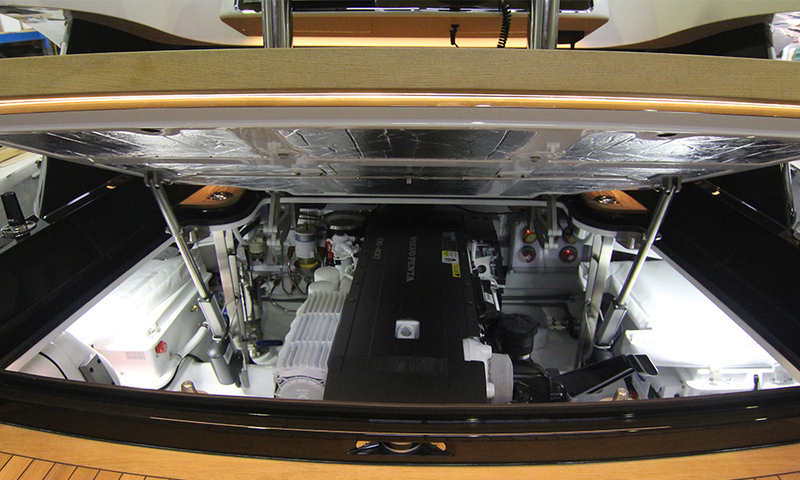 Powered by 1 x Volvo Penta D6 – 6 cylinder, 5.5 litre, 400HP engine and Volvo Duo Prop Stern Drives this Limousine can reach speeds of 40knots. 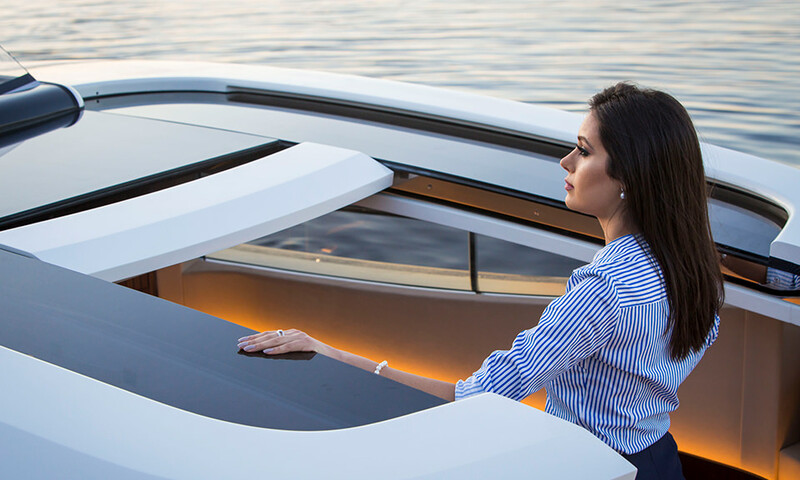 A truly special Tender. 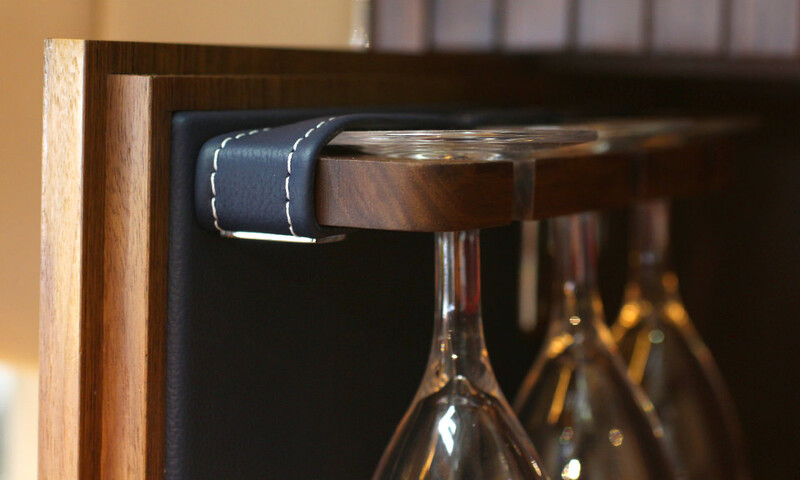 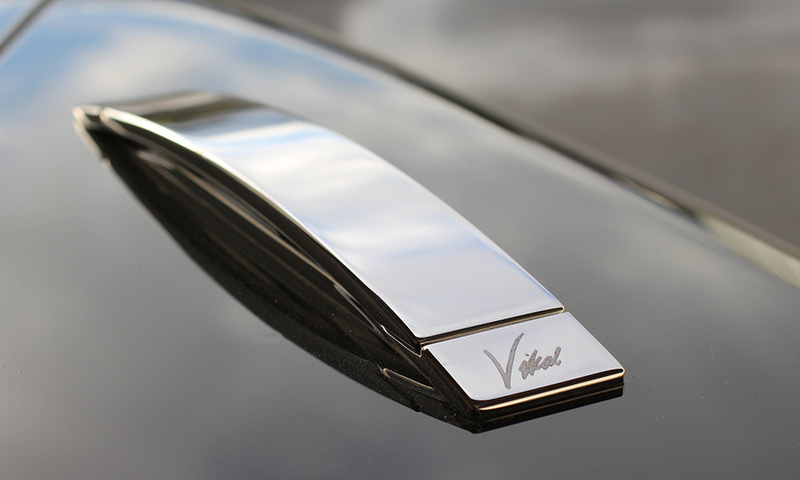 Hundreds of hours have been spent on intricate detailing and truly bespoke features. 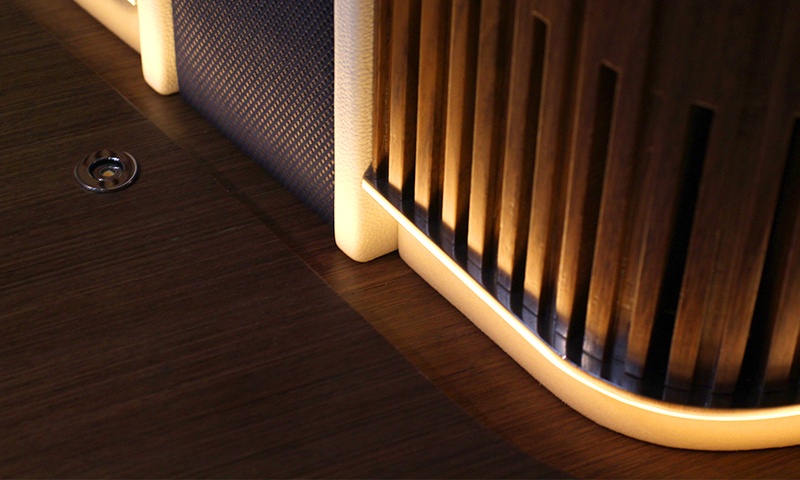 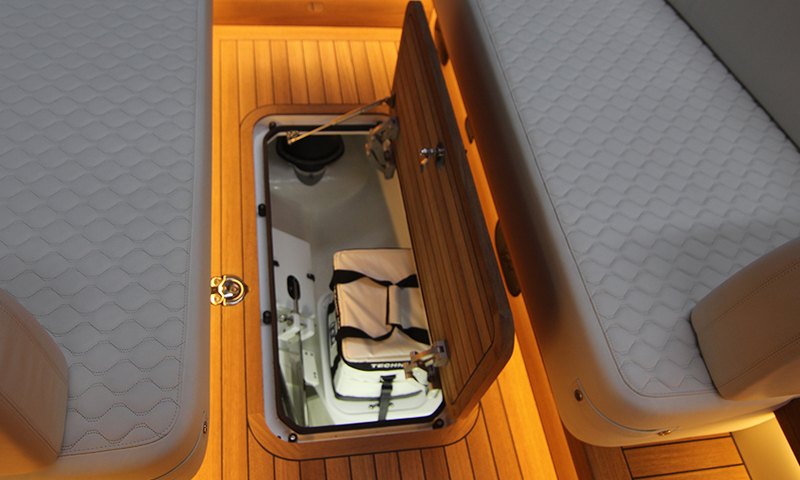 The interior alone boasts 6 generous seats, a beautifully finished teak floor and steps with hidden lighting. 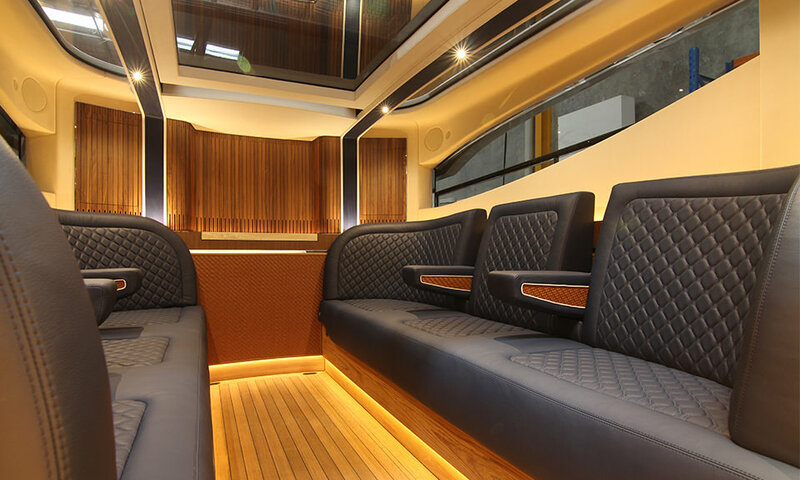 A feature bulkhead, hand crafted with stainless steel trim and discrete cabinets hiding the advanced audio system and of course Champagne and flutes. 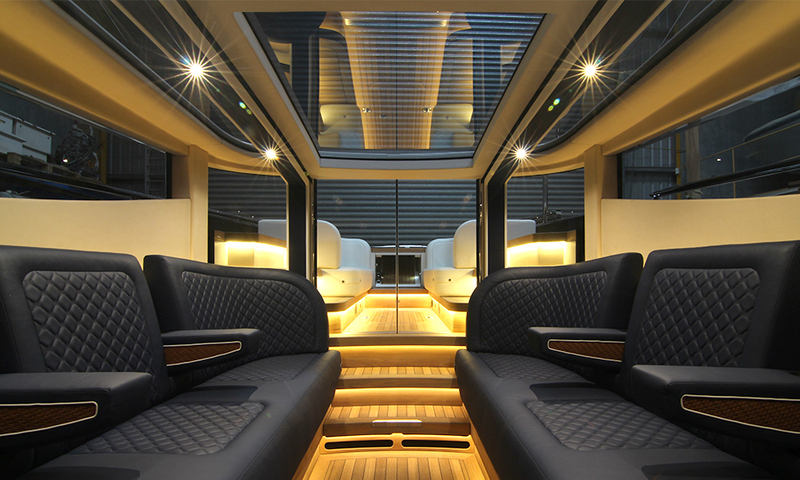 Sliding ceiling, side and entrance glass opens the entire cabin to the outside for ultimate space and freshness. 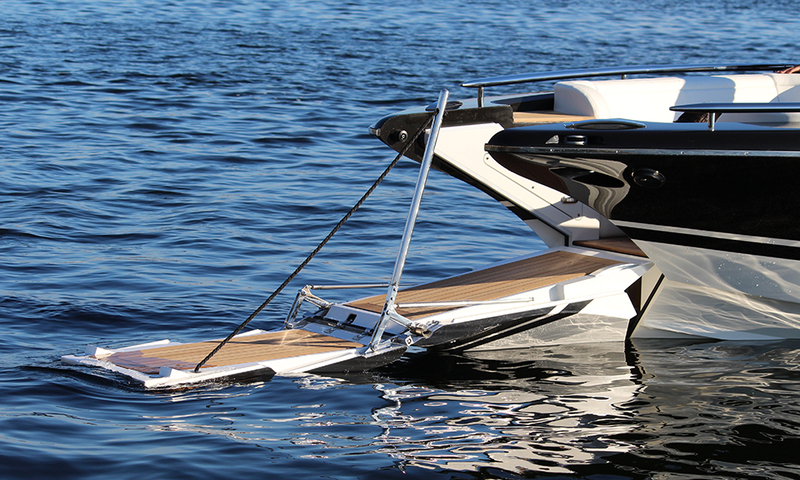 The Hydraulic Bow Door allows access to the tender from the beach and also doubles as a fwd swim / dive ladder.